Just in time for Christmas, the FAA has unveiled registration requirements for drone owners. Consumers are expected to buy about 400,000 drones this holiday season. The Consumer Technology Association said this will be the "defining year" for drone sales. On Monday, FAA officials said online drone registration will start on December 21. Drones bought before next Monday must be registered within 60 days. After that point, drones will have to be registered before their first flight. FAA officials are hoping registration will make drone owners operate the devices more responsibly. It will also make it easier for authorities to track down anyone involved in a drone crash or incident. "When they don't fly safely, they'll know there will be consequences," FAA administrator Michael Huerta said in October. But even Transportation Secretary Anthony Foxx conceded that registration is only a "first good point" of getting to know who owns drones. The "bad guys" won't register their drones, he said. The responsibility for registering will be with consumers, not manufacturers or retailers. But the FAA said it is working with stores to provide point-of-sale registration in the future. An FAA task force is recommended that registration be free to encourage compliance, but federal law requires a registration fee. So the FAA will charge $5 per registration -- the same price to register a large commercial jet. The fee will be refunded for anyone who registers in the first 30 days after December 21. Registration is good for three years and $5 allows an owner to register multiple drones. The rules would apply to any drone weighing 9 ounces or more. The rules come as concern is growing about the risk posed by drones -- to people on the ground as well as to commercial aircraft. 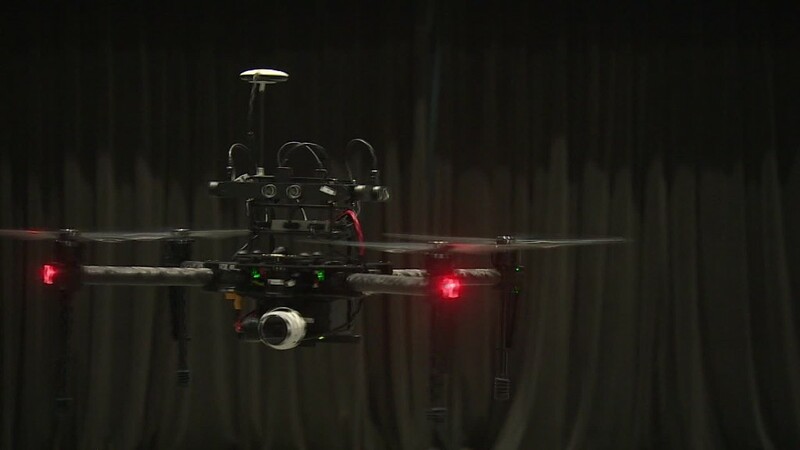 In the last two years, there have been 921 near collisions between drones and manned aircraft, according to a report Friday from the Center for the Study of the Drone at Bard College. In 51 of those incidents, the drone got within 50 feet of the aircraft, and in most of those cases the plane had to maneuver to avoid hitting it. Most of those drone operators were violating existing rules that prohibit flights above 400 feet or within five miles of an airport. "We believe [the problem of near misses] is largely due to people not understanding the rules," said FAA Deputy Administrator Michael Whitaker. He said registration will make the skies safer. "Education is a paramount goal of this initiative," he said. "As soon as they start flying [drones], they're pilots."